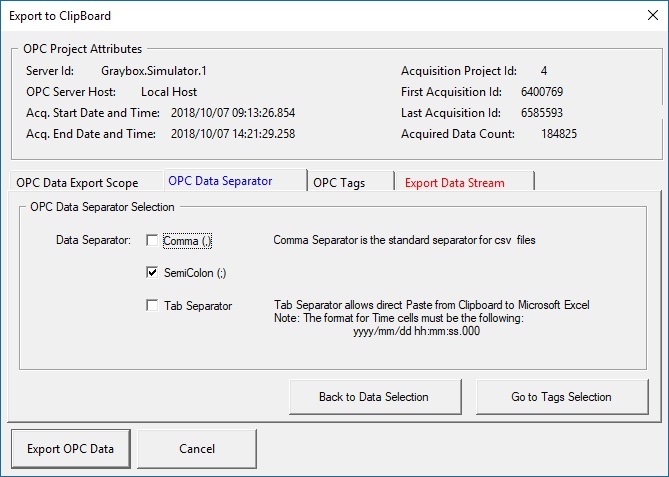 The Export to Clipboard Dialog Box guides you to set up the clipboard OPC Data Export. Most of the settings can be accepted by default. The active tab has a title displayed in Blue. 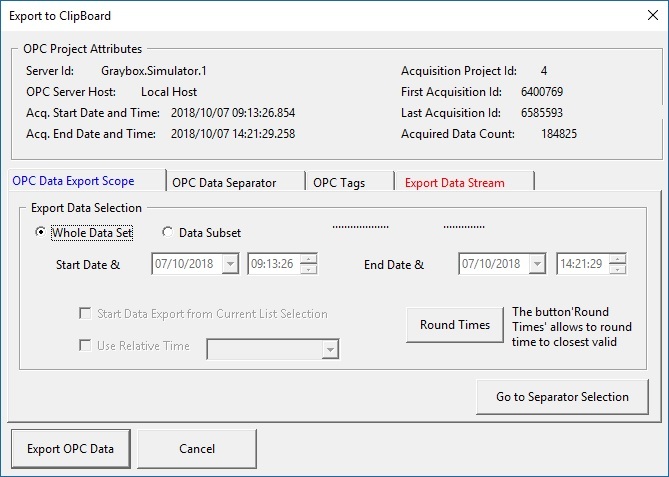 The Start and End Date and Time can be entered from the different controls. 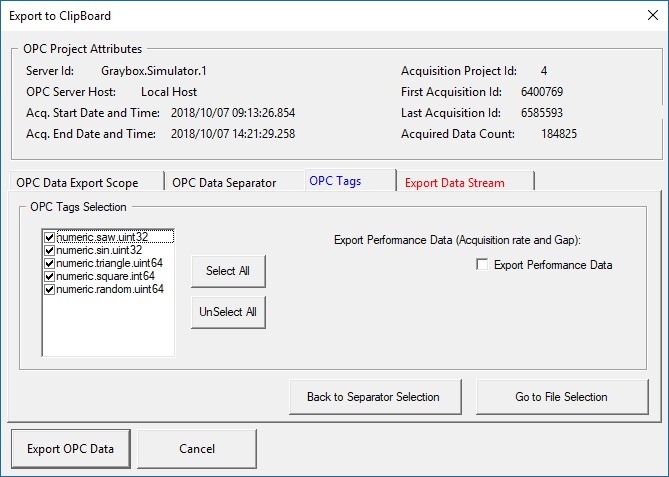 The OPC Tags are listed and can be selected individually or globally. 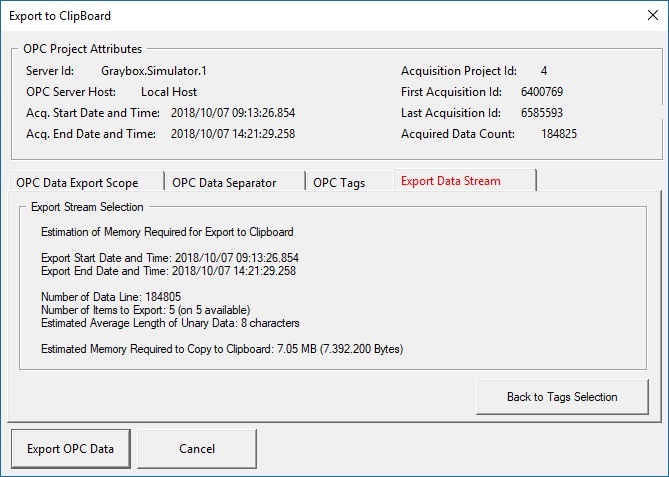 Genesis OPC Explorer 3.1 outlines the export data and computes an estimated amount of memory required to export the OPC Data to the clipboard. The Red color of the tab is meaningless.